Beer before wine, fine. Wine before beer, fear! How about a beer that has cheeky wine notes? Sound dodgy, hold fire and read on. I am a massive fan of Riesling and Gewurtstraminer grape varieties but combined with a pale ale I was unsure. 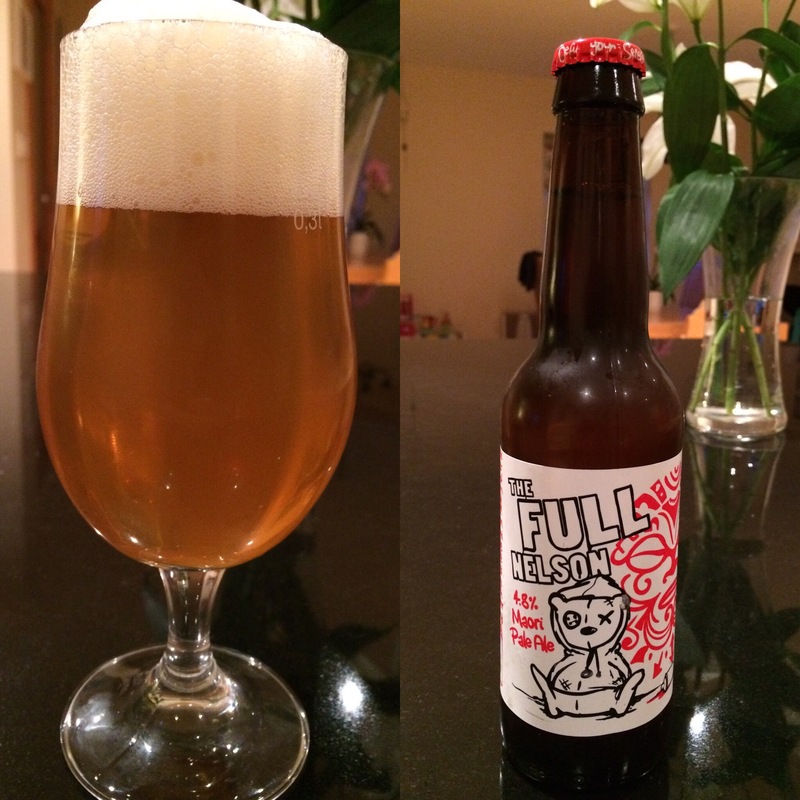 Last night I opened a bottle of ‘The Full Nelson’ from Tiny Rebel it was a revelation. It is a golden pale ale with an ABV of 4.8%. Overall – It’s USP is that it is made with a unique NZ hop called ‘Nelson Sauvin’. If you are thinking this all sounds a bit sweet or sickly you would be wrong as it turns out to be well balanced and leaves you wanting to come back for more. This won’t be to everyone’s pallet but it suits me just fine, 8/10. Appearance – Golden, slightly hazy with a lingering white head. Aroma – Grapes and spice. Flavour – Light IPA with Riesling and Gewurtstraminer tones. Mouthfeel – Light carbonation, refreshing. Finish – Medium intensity, well balanced with lingering grape and a slight bitterness.